It's Friday! And that means another "Action Figures Friday" feature here on the Mid-Atlantic Gateway. 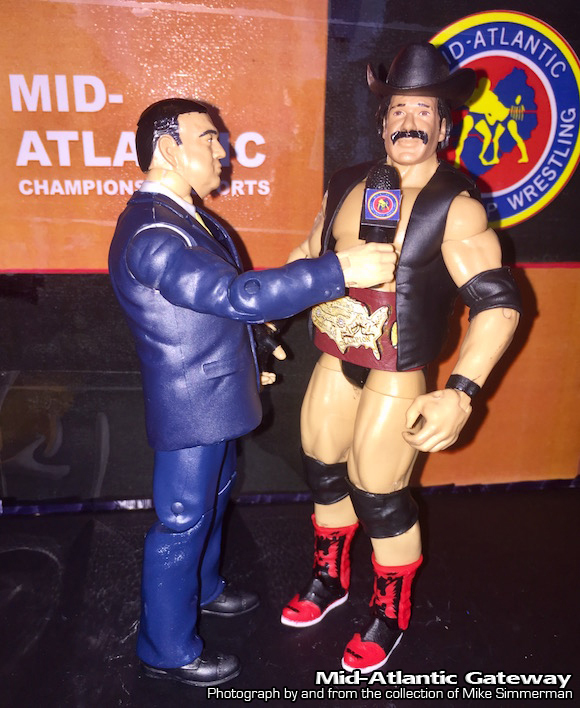 This week, we take a look at the legendary U.S. champion Blackjack Mulligan, depicted here on set with the voice of Mid-Atlantic Wrestling Bob Caudle. Blackjack is sporting a nice little replica of the United States heavyweight championship belt that was used by Jim Crockett Promotions from 1975-1980. It was worn by such legendary champions as Harley Race, Johnny Valentine, Terry Funk, Paul Jones, Ric Flair, Jimmy Snuka, and several others. 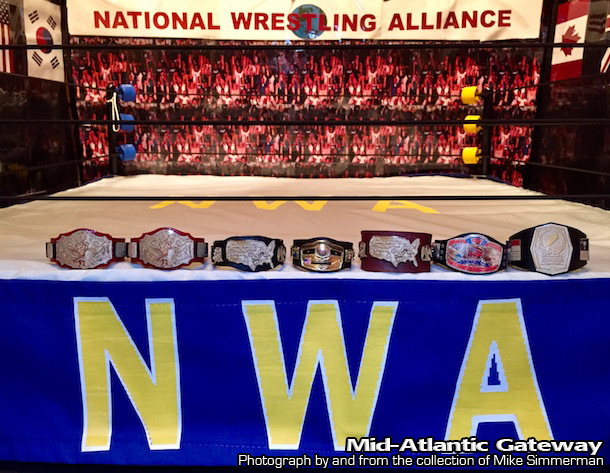 The belts have gotten some great feedback as we have continued this series, and collector Mike Simmerman sent us a photo of all his Mid-Atlantic era belts (so far) nicely displayed on the ring apron of the ring in his replica studio set.